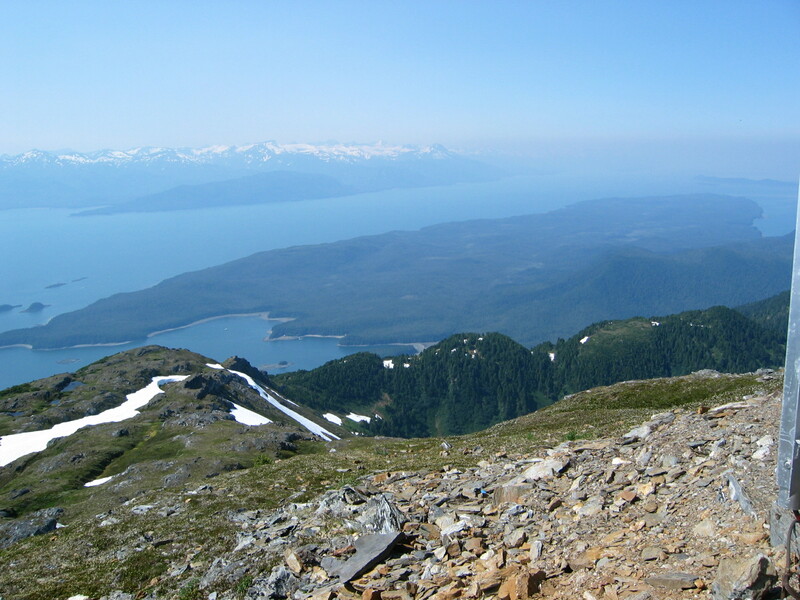 High above Funter Bay on Mt. Robert Barron is a government radio communication site. This unmanned facility rebroadcasts radio traffic for a variety of public and private users. 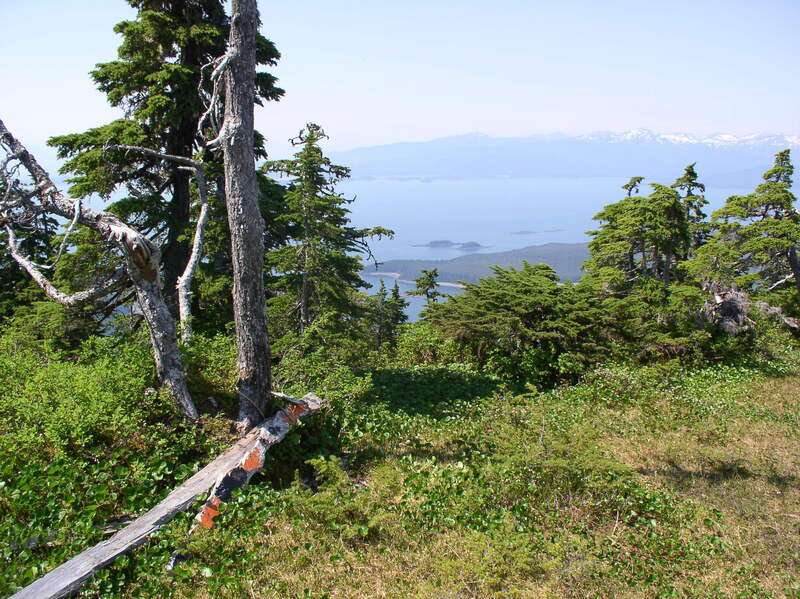 Located at an elevation 3,475ft, the one-acre site is part of the Tongass National Forest and is operated under a lease agreement with the forest service. The site was built in the early 1970s as part of the National Distress System. This was designed to improve emergency radio coverage for coastal areas. The original 15ft tower was replaced around 2002 with a 50ft tower to allow more distance between antennas. 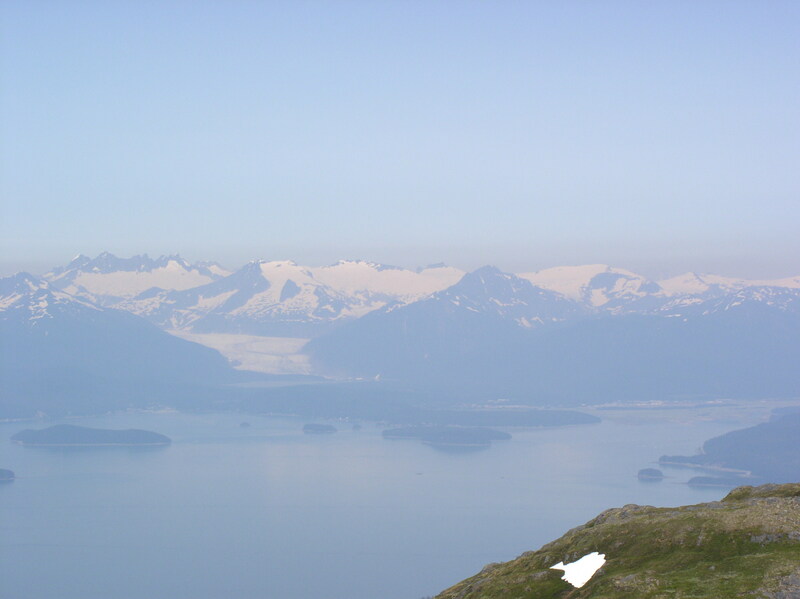 The tower is normally accessed by helicopter from Juneau. The site is powered by propane generators as well as a solar array. 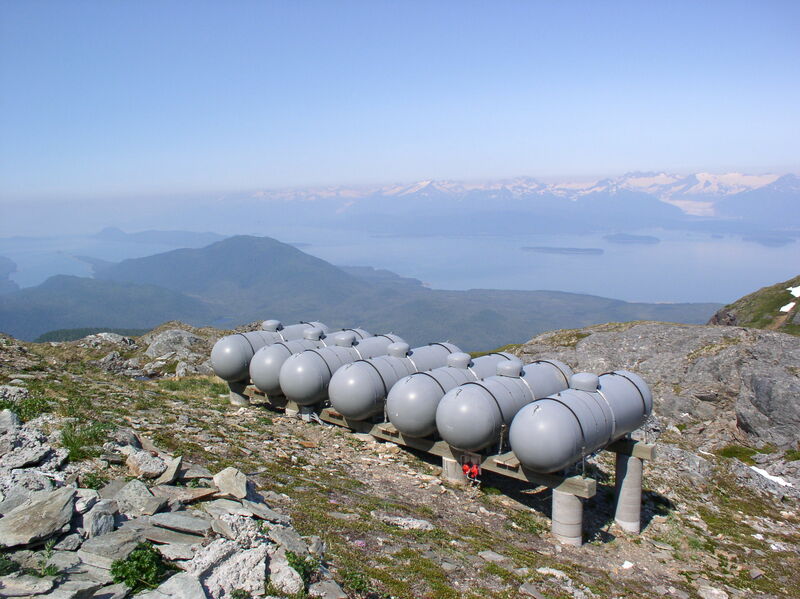 One report indicates that this site uses about 3,000 gallons of propane each year, while another states the same amount lasts about two years. A thesis study notes that the site used 11.12kWh/day and cost about $7,200/year in 2001. 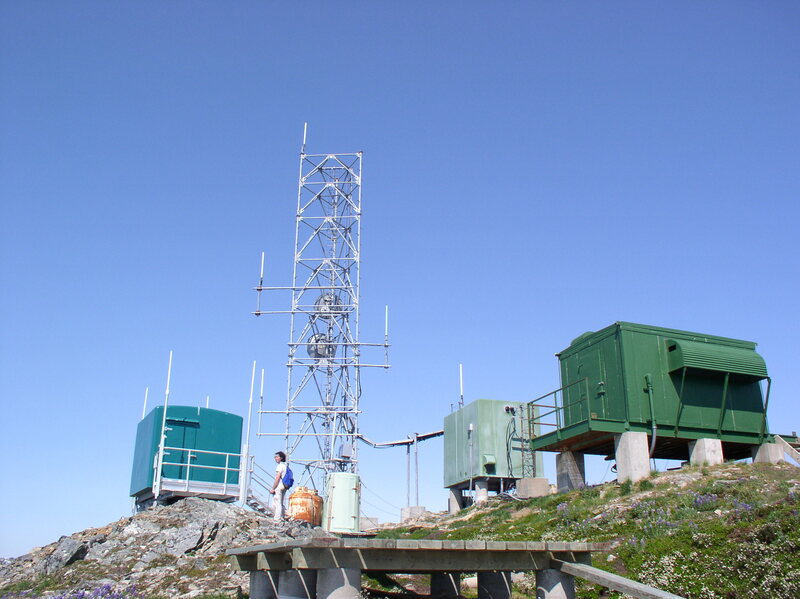 The weather at this site can be extreme, with ice and snow sometimes coating the towers and huts. 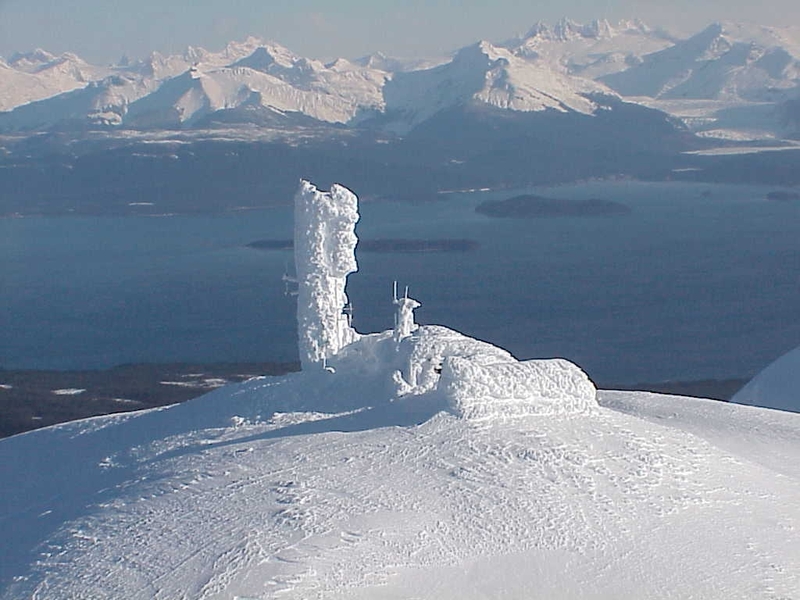 While most of the radio antennas can transmit through the ice, any broken equipment or maintenance requires personnel to fly out and chop ice from the structures. The power system thesis notes that a wind turbine was installed at a similar site in 1999, but it was destroyed by winds in excess of 160mph. Another photo of the site iced up in 2012 can be seen here. Some photos from 2009 are here. A video of the site coated in ice in spring of 2013 is here. Another video of the site in ice-free condition from January 2014 is here. There used to be a snow gauge installed lower on the mountain. This was a wooden structure with height markings, which could be read by passing aircraft or possibly by binoculars from the weather station at the cannery. The gauge has fallen apart, but a few wooden pieces with orange and black markings can be found. -NOAA Weather Radio channel 3. Callsign KZZ87 on 162.450mhz. -Radio Comm Link Terminal (Aircraft Flight Data) on 941.825mhz (formerly 943.525). -Coast Guard marine VHF “High Level Site” (normally monitoring channel 16, also capable of channels 6, 12, 13, 21A, 22A, and 81A). 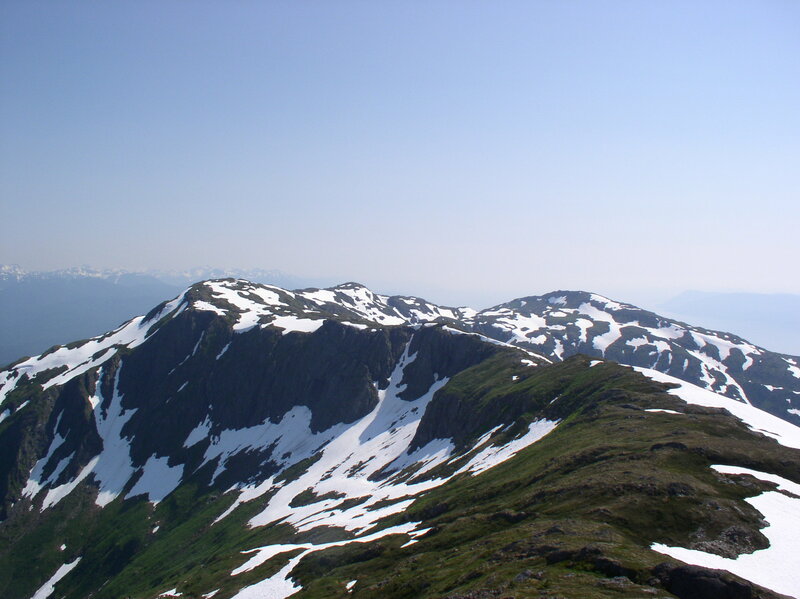 -City and Borough of Juneau – Microwave Industrial / Business Pool – 952.38125 Path Frequency. 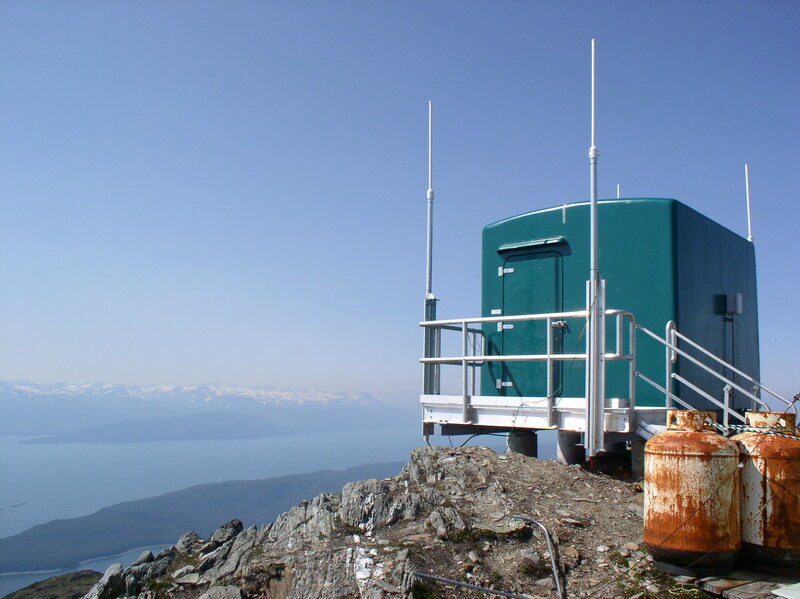 –Alaska Power & Telephone Microwave Industrial / Business Pool (the telephone system for many small communities). Various frequencies. 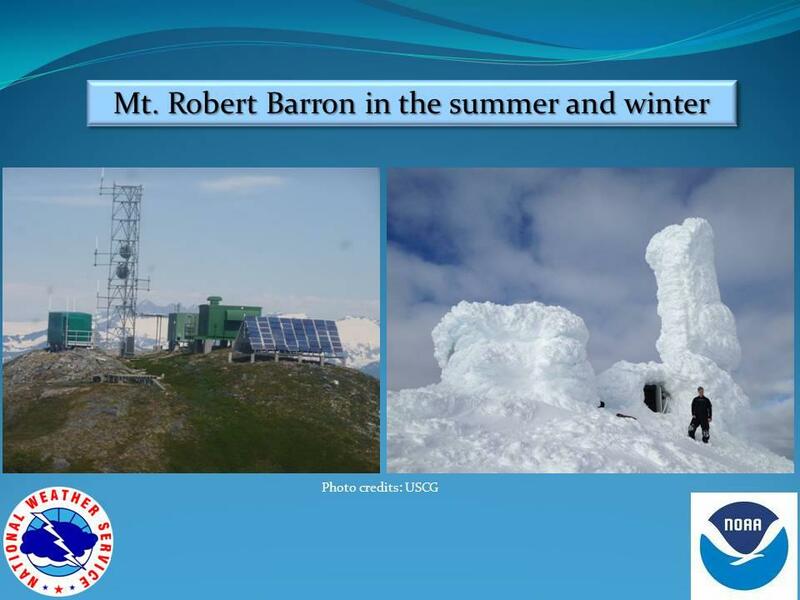 Several cellular and telecom companies currently hold or have held licenses involving Robert Baron Peak. There is not a cell tower here, but various companies use bandwidth on the microwave repeaters to hit other stations and cell towers around Southeast. And finally, a very large panorama of Funter Bay from partway up the mountain, make sure to click it to get the full size! This entry was posted on Tuesday, February 25th, 2014 at 1:45 pm and is filed under Funter Bay History. You can follow any responses to this entry through the RSS 2.0 feed. You can leave a response, or trackback from your own site.